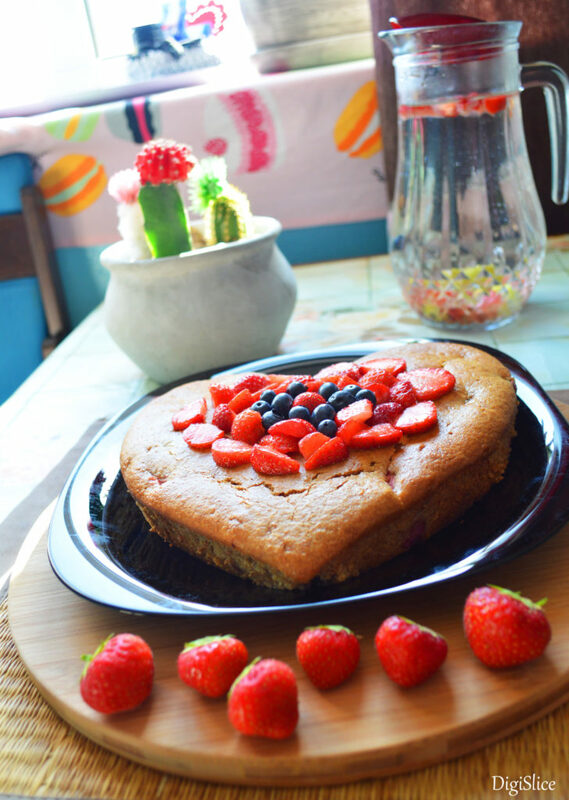 Today I want to share with you the recipe of a delicious cake: you can use fresh, seasonal fruits in Summer or frozen berries in Winter. 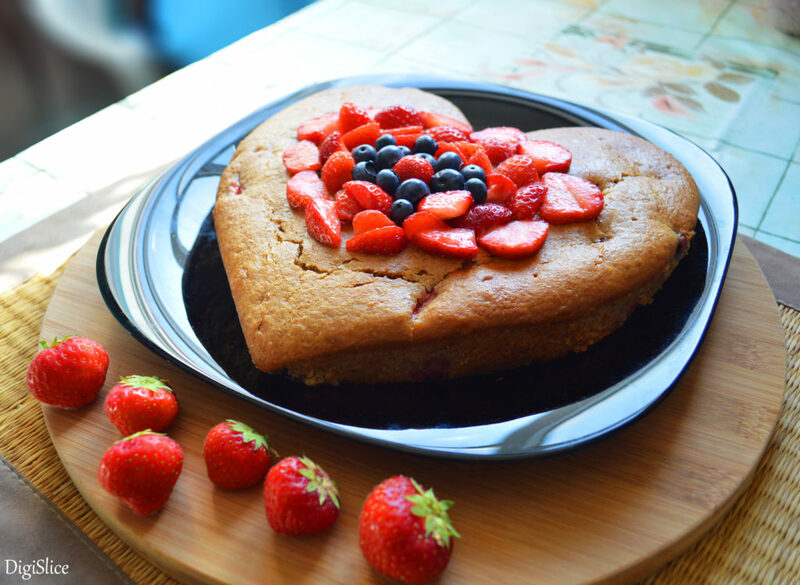 This is an egg-less, dairy-free cake that can be enjoyed by anyone; I personally find that vegan desserts taste better than the ‘traditional’ ones, that’s why I love baking them so much! And since I particularly liked making it and shooting it, I decided to publish the result of this experiment here. 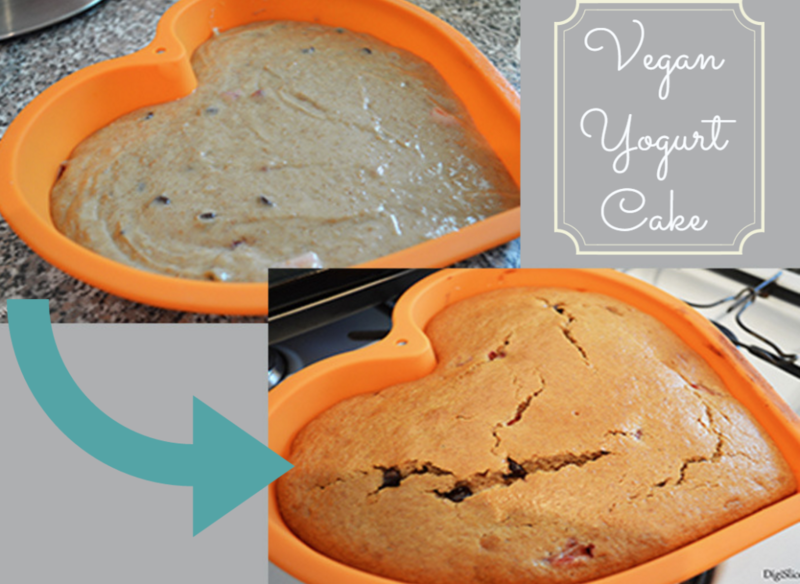 Line a 20cm / 8” cake tin with baking paper or use a silicone cake mold. Wash, clean and cut berries; I used strawberries and blueberries. In a bowl beat oil, sugar, syrup, yogurt, and water until creamy. 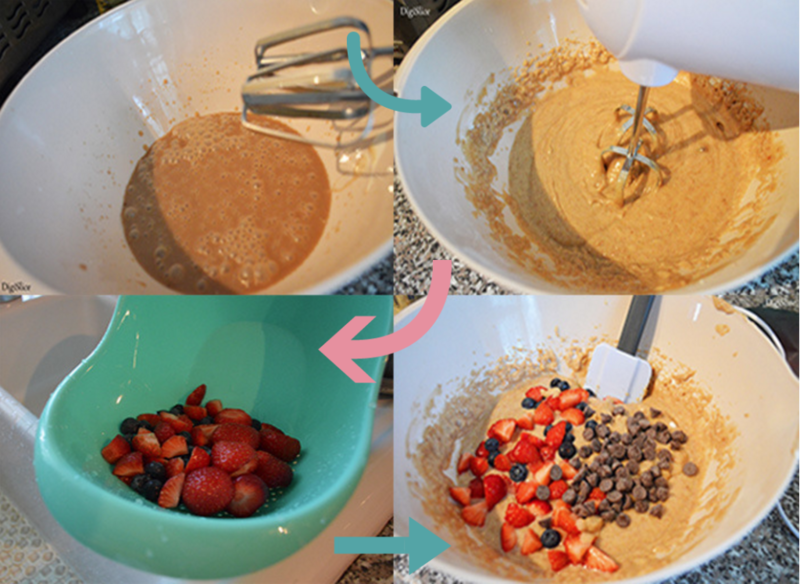 Add dry ingredients – flour, baking powder and a pinch of salt – to the wet mixture while beating. Remember to sift the powders! Beat until combined. Add the berries and chocolate chips and gently mix them in with a spatula. Transfer the batter to a cake tin and bake for about 30 minutes or until golden. Stick a toothpick into the center of your cake to check if it’s ready. You can decorate sprinkling icing sugar on the top or with some fresh berries, like I did. This entry was posted in Food and tagged baking, cake, food photography, recipe, vegan, yogurt. Bookmark the permalink.